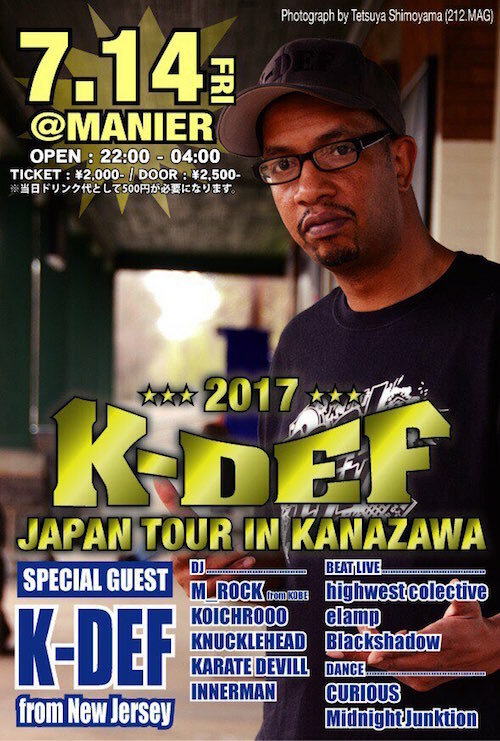 K-DEF JAPAN TOUR IN KNZW!!!!!!!!!!!! This entry was posted in イベント and tagged BLUNT CUT, CURIOUS, highwest colective, HIP HOP JUNKEEEEEEEEEES!! !, Manier, Midnight Junktion, SNDF, SSF, studio FARSYDE, SUBLIMINALone. Bookmark the permalink. Post a comment or leave a trackback: Trackback URL.